“What Play Is It From Again?”: Acting Student Wows Directors With… Mary’s Magnificat! 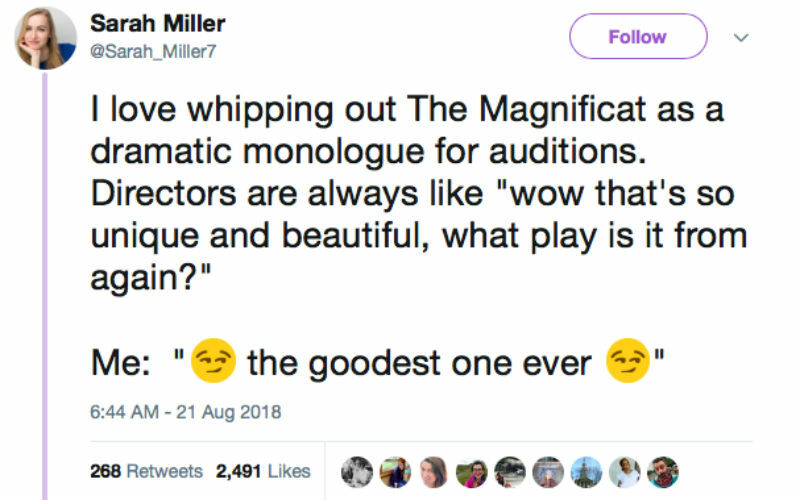 Have you ever heard of an actress using Mary’s Magnificat for an audition? I know I haven’t! According to Sarah Miller, a student at Point Park University Conservatory of Performing Arts, her directors haven’t either. 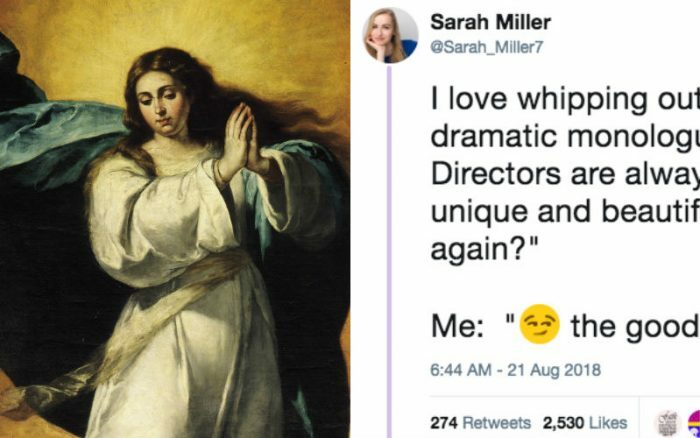 On top of all this, the preforming arts student was so astonished that her tweet went viral, she decided to use her voice to promote the rosary. What a beautiful witness to the faith! Let us pray that all those in the field of the performing arts will follow the same example! St. Genesius, patron saint of actors, pray for us!